The assessment of communication skills is vital component of a comprehensive assessment for children with autism spectrum disorders (ASD). A best practice communication assessment should provide information about the child’s communicative abilities in both the verbal and nonverbal domains, and should not be limited to the formal, structural aspects of language (e.g., articulation and receptive/ expressive language functioning). Particular attention should be given to the pragmatic, social communicative functions of language (e.g., turn taking, understanding of inferences and figurative expressions) as well as to the nonverbal skills needed to communicate and regulate interaction (e.g., eye contact, gesture, facial expression, and body language). Assessments to identify pragmatic language deficits are not as well developed as tests of language fundamentals. Few standard measures are available to assess these skills in higher functioning children with ASD. Valid norms for pragmatic development and objective criteria for pragmatic performance are also limited. Available standardized instruments that focus specifically on pragmatic language include the Test of Pragmatic Skills (TPS), the Comprehensive Assessment of Spoken Language (CASL), the Test of Pragmatic Language, 2nd Edition (TOPL-2), the Test of Language Competence (TACL), the Children's Communication Checklist-Second Edition (CCC-2) and the Pragmatic Language Skills Inventory (PLSI). The test takes 5 to 10 minutes to complete by an adult (e.g., parent, teacher, teacher assistant) who assigns each item a score from 1 to 9 based on his or her knowledge of the child and that of children of the same age and gender regarding a particular skill (e.g., writing a good story, taking turns in conversation, asking for help or favors). The authors specify that the rater should know the child well and be familiar with that child's language skills. Scoring and interpretation are made by a qualified examiner (e.g., speech-language pathologist, school psychologist). Once the rater has assigned scores for all 45 items, the examiner derives percentile ranks and standard scores (mean = 10, SD = 3) for each of the subscales. Standard scores for the three subscales are summed to determine a child's Pragmatic Language Index (PLI) score (mean = 100, SD = 15) and overall percentile rank. 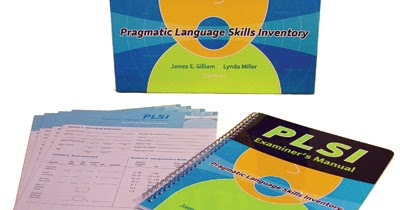 The PLI is considered the best estimate of a student’s pragmatic language ability and the score that should be used by examiners to identify students who may have a pragmatic language deficit. Descriptive scores for the subscales and PLI range from “Very Poor” to “Very Superior.” Generally, scores in the Below Average, Poor, and Very Poor ranges suggest a pragmatic language disorder (PLI < 89). The PLSI was standardized on 1,175 students (610 boys, 565 girls) between 5 and 12 years of age. The sample represents the U.S. population of school-age children with respect to geographic region, gender, race, ethnicity, and disability status. Reliability data are reported in the manual and indicate high levels of internal consistency, excellent interrater agreement, and good test-retest reliability. The test manual also reports information for content, criterion, and construct validity. Construct validity is reportedly high. Criterion-related validity (concurrent validity) was established by correlating scores of the PLSI with performance on the Test of Pragmatic Language (TOPL). There was a strong relationship between the two measures, indicating that the PLSI and TOPL measure very similar constructs (e.g., pragmatic language). The diagnostic validity of the test was assessed by comparing test scores for a group of 40 students with disabilities (autism, learning disability, attention-deficit/hyperactivity disorder, and intellectual disability), a group of 45 gifted and talented students, and the normative sample. As expected, the PLI scores for the students with disabilities were significantly lower than those in the other two groups. Students with autism and intellectual disability received the lowest scores among the various diagnostic groups. Speech-language evaluations for any child with communication concerns should include a screening of the child's social-communication skills. Norm-referenced parent and teacher report measures such Pragmatic Language Skills Inventory (PLSI) provides a time-efficient option for screening children's social-communication skills. If such screening reveals concerns about a child's skills, a more comprehensive evaluation should be completed. As with all tests, the PLSI has strengths and weaknesses. A strength is its standardization with a representative sample of the U.S. population. The PSLI also demonstrates high levels of internal consistency, excellent interrater agreement, good test-retest reliability, and correlates highly with Test of Pragmatic Language (TOPL). The record forms are clear and easy to follow for the many individuals who are likely to administer, score, and interpret the test. The PLSI has an especially important advantage of sampling pragmatic skills in the child’s natural environment. A relative weakness involves the selection of an individual who knows a child well enough to accurately rate his or her pragmatic skills. Although no special training is required to make PSLI ratings, the rater is expected to have some basic knowledge and experience with behavior rating scales. According to the manual, the rater should also “have a good grasp of what is typical or average behavior for the child's age and gender.” Consequently, it may be problematic to assume that a parent, teacher's assistant, or classroom teacher would know when a child was advanced, average, or behind on the type of pragmatic abilities assessed on the PLSI. It should be noted, however, that the examiner can complete the PLSI with teachers in a structured interview format. Although the authors conclude that “The work we have done so far should be sufficient to establish the PSLI as a promising alternative way of identifying students who have a pragmatic language disorder,” further research is needed to examine the instrument’s accuracy (sensitivity) in predicting group membership (normative sample and clinical groups). In conclusion, the PSLI is a brief, quantitative measure based on naturalistic observations of parents and teachers that can be used as an effective screener in clinical or educational settings, an aid to clinical diagnosis, or a measure of response to intervention. Of course, the PSLI should not be used in isolation to make decisions regarding classification and intervention planning. Results from other instruments, direct observations, and parent interviews provide valuable information for identifying social communication deficits in children on the autism spectrum (see Wilkinson for a description of assessment domains and recommended measures). Gilliam, J. E., & Miller, L. (2006). Pragmatic Language Skills Inventory. Austin, TX: Pro-Ed. Review of the Pragmatic Language Skills Inventory. Guyette, T. & Kelly, D. (2007). Buros Institute of Mental Measurements, 461-466. Twachtman-Cullen, D., & Twachtman-Bassett, J. (2014). Language and social communication. In L. A. Wilkinson (Ed. 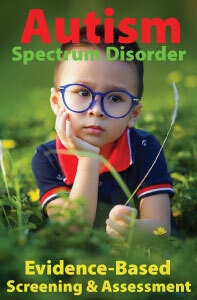 ), Autism spectrum disorder in children and adolescents: Evidence-based assessment and intervention in schools (pp. 101-124). Washington, DC: American Psychological Association. Wilkinson, L. A. (2017). Best practice in assessment. 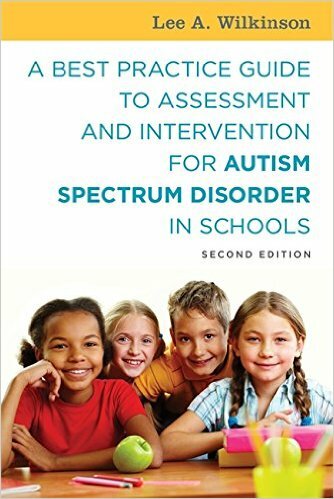 In L. A. Wilkinson, A best practice guide to assessment and intervention for autism spectrum disorder in schools (pp. 46 -95). London: Jessica Kingsley Publishers.